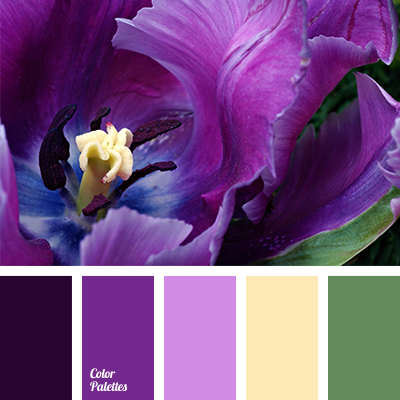 Violet with a lialc haze on a background of yellow canary color and it is ennobled by green shades. 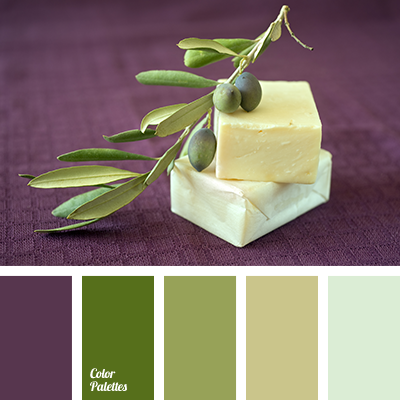 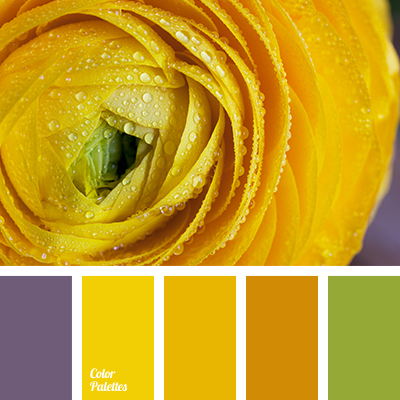 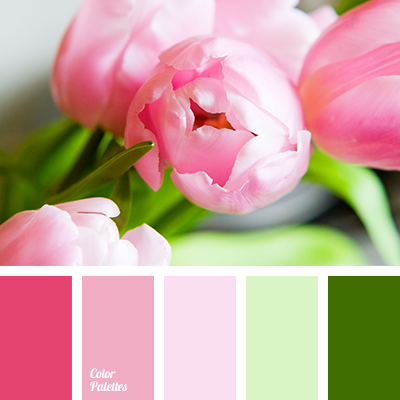 This color scheme is good to create an image for a walk. 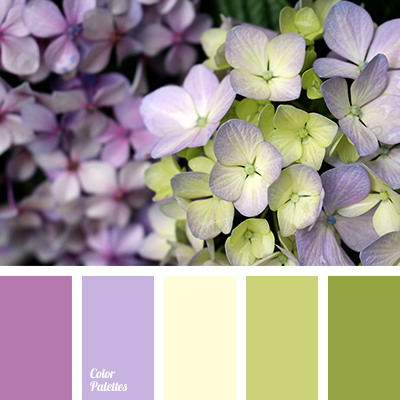 Pastel colors in clothes – light yellow and dark olive are profitably shaded by accents in the form of jewellery, handbags and other accessories made in violet and lilac colors.